‘Thirakkatha’ has won the Idea-Mathrubhumi-Amrita film award for the best film. THIRUVANANTHAPURAM: ‘Thirakkatha’ has won the Idea-Mathrubhumi-Amrita film award for the best film, best director (Ranjith) and best actress (Priyamani). Mohanlal has been adjudged the best actor, for his performances in ‘Akashagopuram’, ‘Kurukshethra’ and ‘Pakalnakshathrangal’. Mammootty will receive ‘Excellence in acting’ award. Srinivasan will be given the ‘Abhinaya prathibha’ award. Sukumari will be honoured with the ‘Chalachithra Saparya’ award.&nbsp; Siddique has been chosen the best villain. 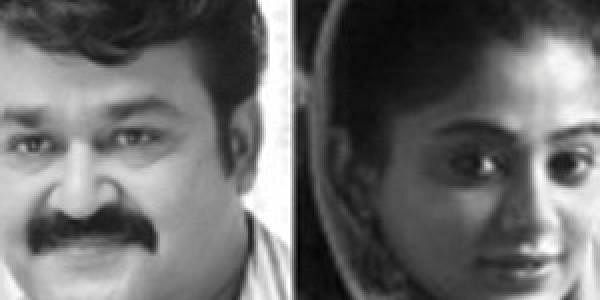 Jayaram and Gopika have been selected as the most popular actor and actress respectively for their performances in the film ‘Veruthe Oru Bharya’. Indrajith and Samvritha Sunil won the award for the best onscreen pair (‘Minnaminnikoottam’). Prithviraj has been chosen the ‘Youth Icon’. Meera Nandan (‘Mulla’) and Vineeth Srinivasan (‘Cycle’) have won the award for best debut. Baby Nayantara will receive the award for the best child artist (‘Swarnam’).Subramanyapuram will receive the award for the ‘Path-breaking movie of the year’. Joshy, who directed ‘Twenty20’, and Sibi-Udayan pair, who scripted the film, will receive the ‘Hit-makers of the year’ award. Major Ravi and Santosh Damodaran, the makers of ‘Kurukshethra’, will receive the award for the best national integration film. Other awards: Jayasurya (character actor- ‘Minnaminnikoottam’), Roma (character actress- ‘Minnaminnikoottam’), Babu Janardanan (Screenplay- ‘Thalappavu’), Deb Jyothi Mishra (Music direction- ‘Calcutta News’), Rafiq Ahmed (Lyrics- ‘Laptop’), Vijay Yesudas (Male singer- ‘Gulmohar’), Chitra (Female singer- ‘Mizhikal Saakshi’), Santosh Thundiyil (Camera- ‘Akashagopuram’), Don Max (Editing- ‘Thalappavu’, ‘Raudram’), Gokul Das (Art direction- ‘Mulla’), Sreejith Guruvayur (Make up- ‘Mulla’), Gautham (Costume- ‘Rathri Mazha’). The award nite will be held on February 21 at Chandrasekharan Nair Stadium.The main attraction of the evening will be the performance by Bollywood singer Sonu Nigam.